What a week! As well as hardback and e-book publication of A Respectable Woman, this week also marks the first book-birthday of The Deserter's Daughter. Publication day, June 22nd 2017, passed in a haze of excitement. I had wanted to be a published author ever since I was a child, though for many years as an adult I never actually submitted any of my work to agents or publishers. On publication day, we celebrated with an afternoon tea for friends in the Imperial Hotel on the sea-front here in Llandudno. 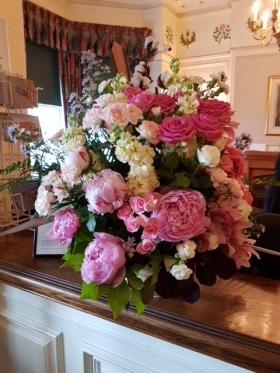 Some of my friends presented me with a fabulous flower arrangement - complete with an S in pink roses; cotton-wool flowers created by the florist (cotton = Manchester, the setting for The Deserter's Daughter); and all housed in a genuine 1920s mixing bowl, for my 1920s story. 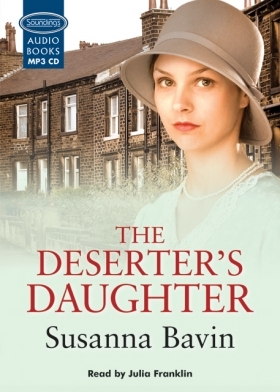 ...though in a year of special moments, possibly the best was hearing The Deserter's Daughter being read as a talking book by Julia Franklin, who for years has been one of my two favourite audiobook readers. Having my book read by Julia is pure cherry-on-the-cake stuff! Special moments, wonderful as they are, are just that: moments. I can honestly say that the best thing of all about the past year has been the friendship and support of all the people, both writers and non-writers, who have been part of my writing life; and in that group I include all the readers whom I have never met but who have tried out the book by this new author. 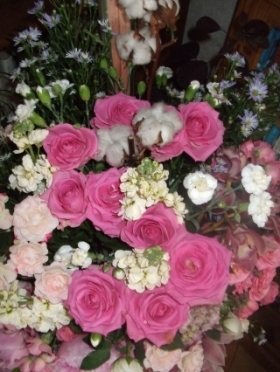 Thank you to everyone who has connected with me in the real world or the virtual world. I am grateful to you all. Thanks for your kind words, Jen. It isn't long since we were celebrating the first book-birthday of The Cottage At Firefly Lake, is it? Anniversaries are an ideal opportunity to stop and look back. Thank you both for your good wishes, Wendy and Kirsten. Many thanks, Tara. Yes, it's been quite a week. What a week. Congrats on your success, well deserved. Thanks for your good wishes, Louise - and many thanks for requesting A Respectable Woman. I hope lots of readers are going to put in library requests. 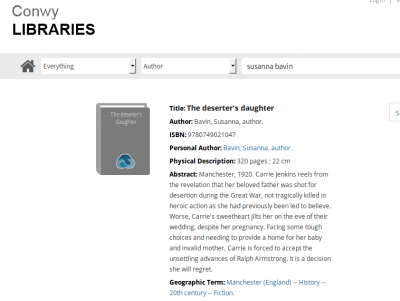 The Deserter's Daughter was borrowed a magnificent 179 times UK-wide in its first week of publication last year, so A Respectable Woman has a lot to live up to! Congratulations on the book-birthday. It must have been an exciting week, with the anniversary and the publication of your second book one after another. 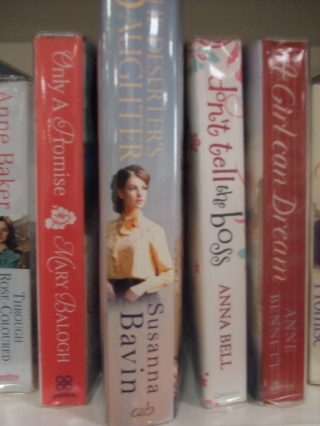 I have ordered A Respectable Woman from the library.